Raising your own little human is a breathtaking, rewarding, and completely overwhelming task. So if you’re expecting a baby for the first time, you’re probably searching for advice everywhere you can find it. Check out our list of Best Pregnancy Apps in 2018 for help with everything from staying healthy during pregnancy to choosing a name. For help after the baby comes, we’ve rounded up a list of tips for first time parents. This is perhaps some of the most common advice for first time parents, and for good reason. The sleep deprivation that can come with parenting a newborn can be quite the challenge. And if you plan on having more kids, this may be one of the few chances you’ll have to sleep when your newborn baby sleeps. Next time around, you’ll have another little one to look after at the same time. So take the chance if you can, but don’t beat yourself up if some days you’d rather get the house in order, take a breather, or just stare at your sweet new bundle. Though it’s tempting for new parents to decorate their baby’s crib or bassinet with pillows and stuffed animals to keep the baby company, resist the urge. Studies show that having anything in the baby’s sleep space can increase the risk of Sudden Infant Death Syndrome (SIDS). 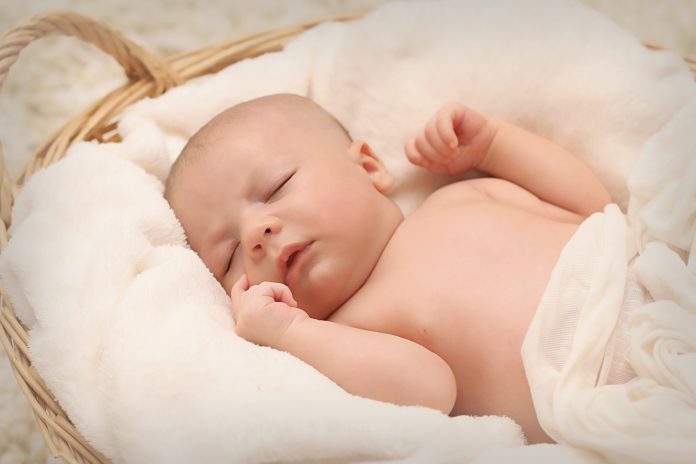 Since newborns don’t have the strength to turn themselves over for several months, they need to sleep on their back and have a clear sleep space to keep them safe. One of the biggest first-time parenting mistakes is going totally overboard on baby gear, only to find that you don’t need or use half of it. Save the time and money by buying necessities only when the baby first comes. You can always buy things as the need comes up, and it’s better to wait until you’re sure you’ll use the item. Along with the idea of going minimalist on the baby gear, remember that you can always borrow baby gear instead of buying it brand new. Many baby items will only be used for a few months at best, so you can save a lot of money by borrowing gear from a friend. Baby chairs, jumpers, and activity centers are great examples of items that take up a lot of space, are expensive, and could easily be borrowed from someone you know. With the hectic schedule (or lack of schedule) that comes with a newborn, the last thing you want to do is spend an hour in the kitchen prepping dinner and doing dishes. Save yourself some grief by prepping freezer meals in advance. Then you’ll only have to exert energy to heat the meal and you’ll still be eating well. And if you really want to operate like a parenting pro, use paper plates and plastic utensils to save yourself from dish duty. The newborn stage only lasts for a few months, and every parent who’s been there will remind you to soak up every moment you can. To do so, try not to sweat the small stuff. Let your house get messy. Don’t stress when you’re late to a social outing. By giving yourself permission to not sweat the small stuff, you’ll have a much happier transition into parenthood. As simple as it sounds, accepting help is one of the best ways to ease into your new life with a newborn. Friends and family will certainly want to offer a helping hand, so when they ask what they can do, don’t be shy about giving them some real suggestions. When you’re in the grind of newborn life, it can be easy to become a homebody without any motivation to get out and about. Though there’s nothing inherently wrong with this, most people feel better if they have some structure to their days. Try to shower, get dressed, and get out of the house most days, even if it’s just for a walk to the park. With the arrival of a new baby, your personal space and alone time goes out the window. Even if you’re loving every moment with your new little sidekick, it’s important to carve out some alone time for self-care. Ask your partner to watch the baby while you take a relaxing bath, or have family watch the baby for an hour while you go out with friends. You’ll feel invigorated and refreshed, and come home loving your baby more than ever. It’s easy to get in the grind of parenthood and only think about surviving, but one of our biggest parenting tips is to record all of your baby’s milestones so you stop to savor the moment. You may think you’ll always remember when your baby first smiled, cooed, or crawled, but almost any parent will tell you how quickly you can forget. By taking these ten helpful tips for first-time parents into account, you’ll be well on your way to being a parenting whiz. Just remember that above all else, following your intuition and doing what works for you and your baby is most important. If you’re interested in learning more baby health tips, check out the Owlet blog here. Danielle Adams is a freelance writer who works with various publications, including Owlet Care. In her free time you can find Danielle reading, attending plays, and spending time outside.